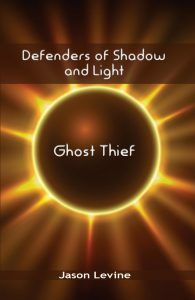 I’ve written before about our snow problems. Chief among them are ice dams. 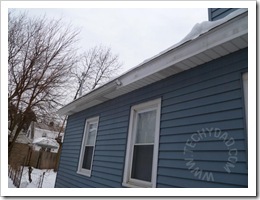 Basically, due to poor insulation in our upstairs room, heat warms our upper roof and snow on that roof melts. 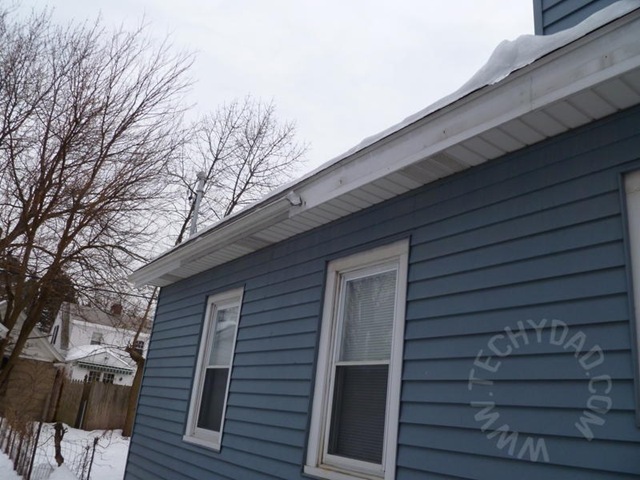 The dripping water refreezes on the lower roof. 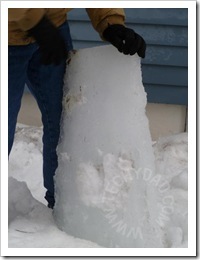 Over time, the ice gets very thick and very heavy. We tried various methods of removing the ice, but had only limited success. With the recent warm weather, we noticed two things. 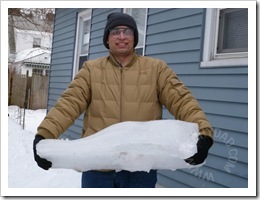 First of all, the ice was melting and thus was separating from the roof. 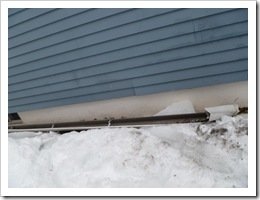 Secondly, the gutter on one side of our house was bending. Obviously, the ice was shifting. 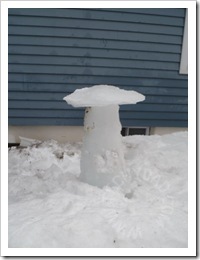 Instead of putting its considerable weight on our roof, it was placing the weight on the gutter. 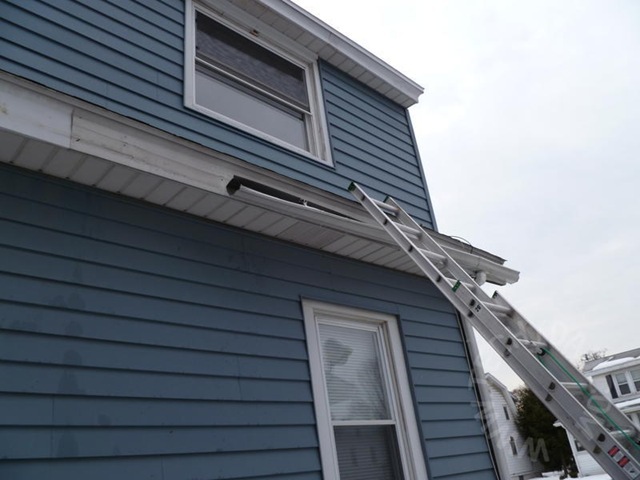 I decided to remove the ice dams before any serious damage was done. I positioned a ladder and carefully scaled it. Once at the top, I used a hammer to chip away at the ice. 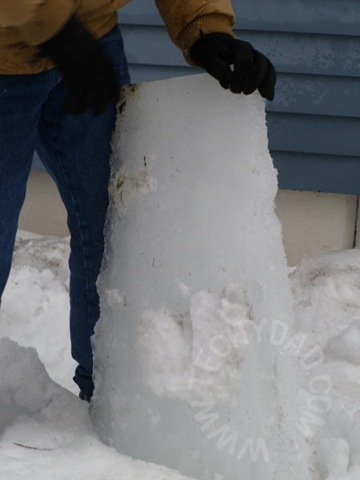 Small chunks flew from the giant ice block. (Fast moving, but small chunks of ice really hurt when they hit your face, by the way.) Then some big chunks fell off. I descended the ladder to reposition it so I could reach more of the ice. As I stepped off the ladder, there was a creaking/ripping sound. 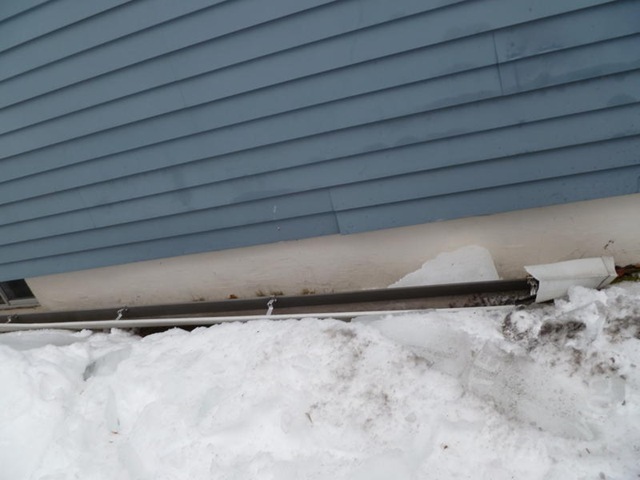 Suddenly, the ice came crashing down, bringing our gutters with it. Here are some photos of the aftermath. 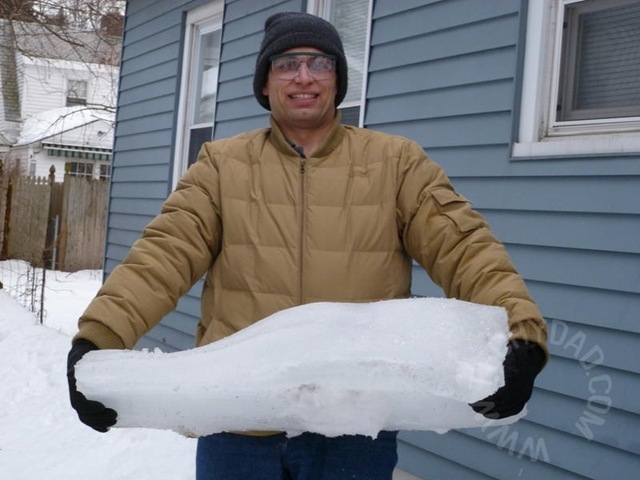 That hunk of ice was *heavy*! With the ice down, inspiration struck. Here’s my own little creation. 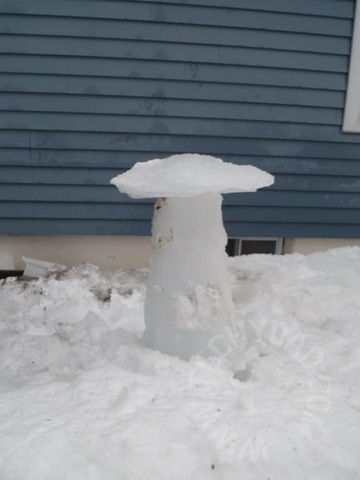 I call it Ice Henge. I shall pray to it in the hopes that Spring arrives quickly and gets rid of all of this snow and ice. 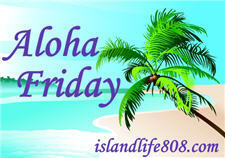 My Aloha Friday question for today is: Has your house ever been damaged by the winter (or other seasonal) weather? 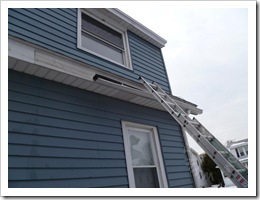 Usually our damage comes from wind storms blowing branches or trees down. So far since we have moved into this house, no damage. I hope that doesn’t change. Yes, our roof was and gutters. Our roof leaked, so the roof had to be fixed, the attic & then it leaked into our frontroom, so now we have to fix that part too! XmasDolly recently posted..Aloha Follow Friday the Over 40 Set is here Flashing back! Actually…we were living in Wellington, Florida during the 2005 hurricane season. I believe there were 31 named storms. Wilma hit us dead on and while standing on our back patio watching (Silly Californians!) we saw a rain gutter fly by into the lake. Several days later we realized it was our gutter! Our damage was actually minimal compared to our area. Gas pumps were blown over, trees, phone wires and power lines…we were without power and phones for quite awhile. Wellington even had a curfew and seriously arrested people if they were out after 6pm. Even old grandparents like us! No…we didn’t break the curfew. I have Hurricane Wilma photos on FB. No, it has not but I live in an apartment and I am currently living in Florida, so no snow around here. We don’t get weather like that here but we have had hurricanes and so far so good . . . my home has never been affected any more than a power outage. Kailani recently posted..Our Primrose Family Dance-Off Party! “Knock on wood” we’ve never had any major damage other than a few roof shingles that came off in a wind storm. Growing up, we lived in an old farm house and there were loads of trees around it. We have had 2 tree fall on our house…both damaging our front porch…. (you can thank tornado’s for it! We had damage from a hurricane once. We don’t own a house yet but we’ve definitely seen family and friends suffer from damage from bad storms. Yep. I guess that is what insurance is for. The Winter is a great season all-in-all but it gets boring after the holidays, Christmas and New Year, you know… But if you have children near you, you will be ok with the Winter too because the children will be happy about the snow and so do you. I also can’t wait for the summer, I bet it’s going to be really great.. Thank you for sharing! Keep up the good work!